Good things really do come in pairs, don’t they? 2 of my favourite music personalities, David Foster and Enya, are releasing albums in November. David Foster is a 15-time Grammy award winner. If you don’t know him, that’s ok, as long as you know the albums he produced, the songs he composed, the superstars he lifted to stardom. From Celine Dion to Chicago, from “The Bodyguard” to “Hard To Say I’m Sorry”, from Josh Groban to Michael Buble. These are just some of his creations. 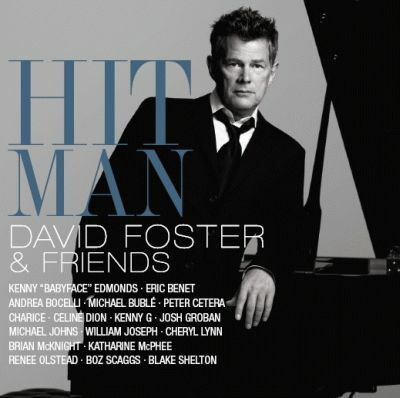 In November, he will release a special tribute album called “HITMAN: David Foster and Friends”. It contains live audio and video recording of his hit songs performed by artistes made famous by his songs. Plus, he’ll release a biography that talks about his 40-year career. Enya, on the other hand, is releasing a Christmas-themed album, called “And Winter Came”. Make no mistake, the 12-track album contains original songs except 2. While I am not really excited about her upcoming album, it will be good to check out whether her style has evolved since her last album.